Since June, 25 people have been arrested after the Service de Police de la Ville de Montreal raided four medical marijuana distribution centres, known as compassion clubs, in Montreal. The first raid forced the Lachine-based Culture 420 compassion club out of business and into the courts, spawning a chain reaction as three other compassion clubs located in the Plateau-Mont Royal borough were shut down. Various compassion club staffers have complained that the SPVM unfairly clumped all marijuana distribution centres into one bunch. 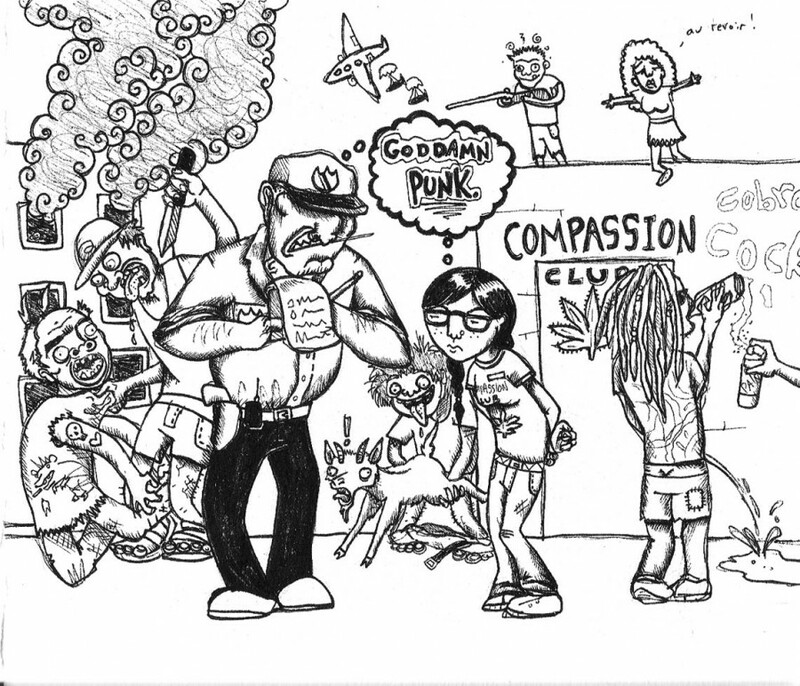 Though it may have been apparent that the Culture 420 compassion club was selling medical marijuana to people who clearly didn’t buy it for medical purposes, it doesn’t mean that you can judge a whole group of people because of their trade. According to Marc-Boris St-Maurice, founder of the federal Marijuana Party, the SPVM “painted [all compassion clubs] with the same brush.” In spite of a distinguished reputation the Plateau Compassion Clubs had played an integral role in treating those in need of remedies for a laundry list of medical marijuana uses, such as glaucoma and anorexia. The SPVM has reacted in a hasty manner instead of collecting concrete facts. By doing so, the SPVM may be pushing medical marijuana prescribers onto the streets to find their remedies. They also may be subjecting others who are really in need of the sticky-icky to find another medical marijuana facility, but let’s face it, society ascribes certain stereotypes to people that walk into a compassion club. Naturally, it would be hard for a prescriber to be totally comfortable with another one, because it’s not like switching video stores.